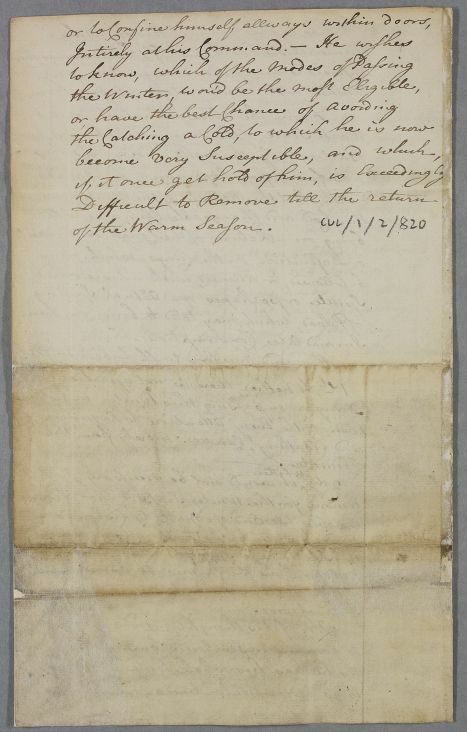 Document headed 'Memorandum for William Kerr'. 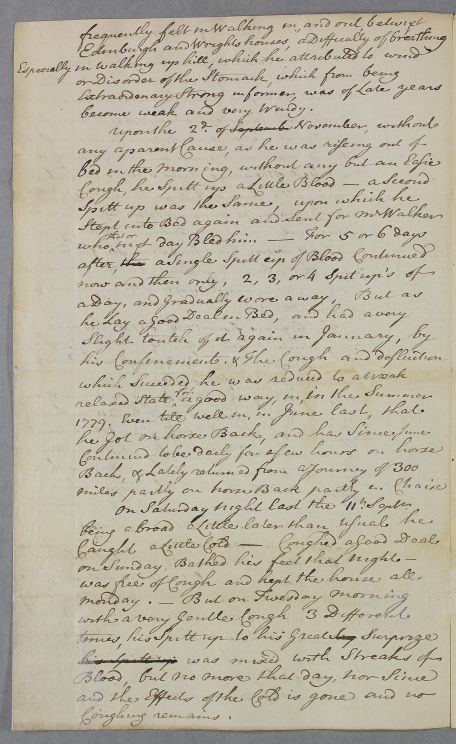 Unsigned and undated, but likely from September 1779 based on its content - describes the patient as being aged 55 and born in 1724; describes 11th Sept as 'Saturday night last'; gives description of several days following the 11th so date guessed at the 17th. Writer is probably the practitioner Walker, basing the account upon information supplied by the patient, rather then Kerr himself. Summary Document headed 'Memorandum for William Kerr'. 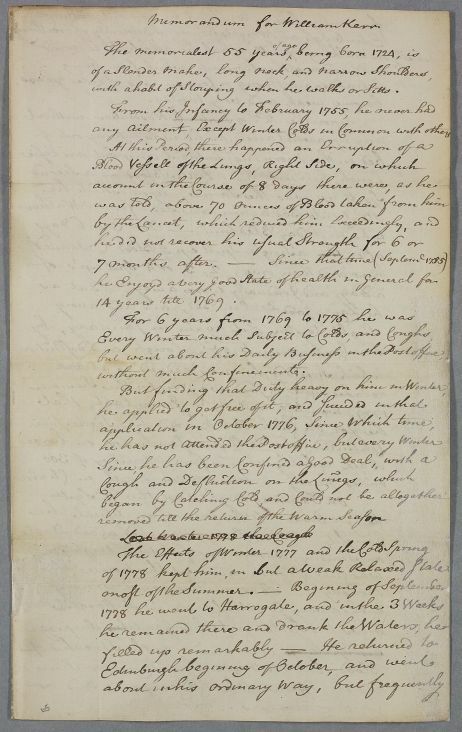 Unsigned and undated, but likely from September 1779 based on its content - describes the patient as being aged 55 and born in 1724; describes 11th Sept as 'Saturday night last'; gives description of several days following the 11th so date guessed at the 17th. Writer is probably the practitioner Walker, basing the account upon information supplied by the patient, rather then Kerr himself. 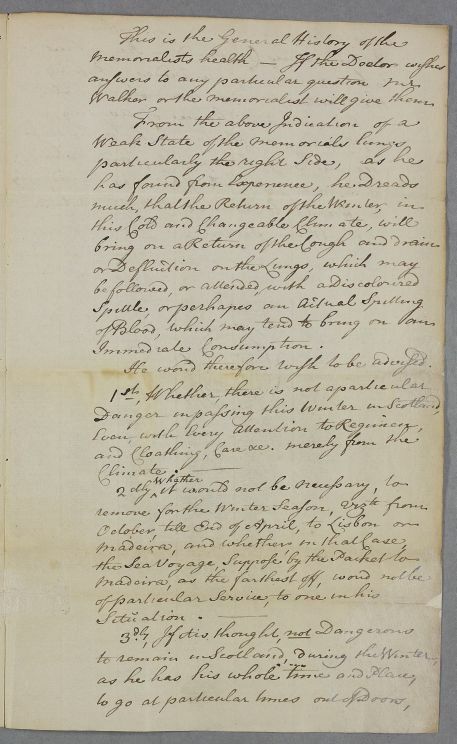 Case of Mr William Kerr who spits blood from an advanced cosumptive condition and who is advised to not spend the winter in Scotland but move to a warmer climate. with a habit of stouping when he walks or sitts. any ailment, except Winter colds in common with others. removed till the return of the warm season. become weak and very windy. He would therefore wish to be advised.